Going from point A to B sometimes takes longer than expected. Specimen integrity is important so treat it that way. 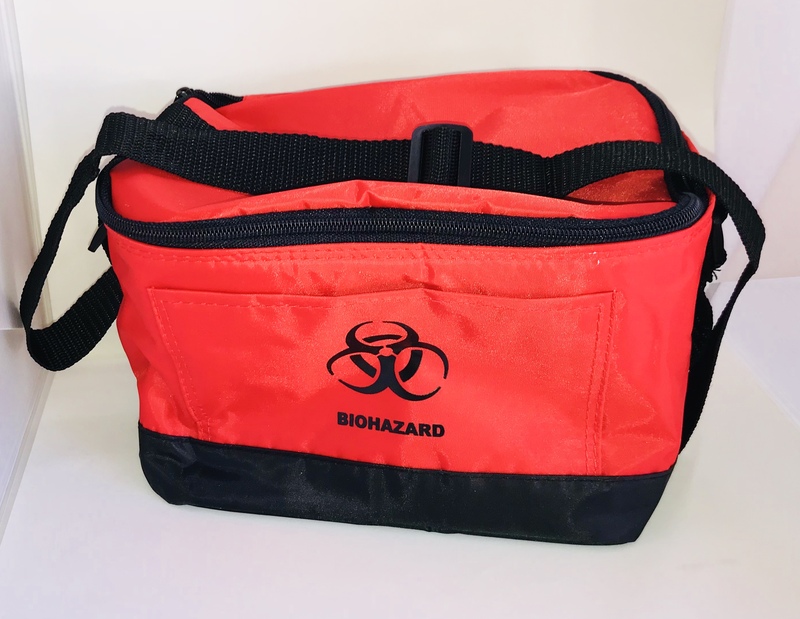 Maintain specimen integrity with a designated phlebotomy biohazard specimen bag. Comes with 1 small ice pack "Free"
· Double zippered main compartment. Add to your tote a custom test tube rack (holds 40 each 13mm-16mm tubes) and a bin cup for small items like needle holders or multisample needles. Fits right in the bottom of the tote for custom convenience. Small Insulated Phlebotomy Transport Tote Rack and Bin Kit $9.25.